Red Hawk is a well-rounded holistic program with an intense clinical focus, program that facilitates living and growth in all areas of the young women we serve. – schools for troubled teens and ranches for troubled teens. Our Admission Team works directly with you to discuss and plan your financial options. PLEASE CONTACT OUR ADMISSION TEAM TO DISCUSS YOUR DAUGHTER’S NEEDS! Year-round admission. We are very selective and cautious to make sure all new students fit our program model and will not hinder the progress of clients currently in our care. The student evaluation is very simple and quick to accommodate students that may need to enroll quickly when in an immediate crisis. Please contact us for a free evaluation. Upon your child’s acceptance to Red Hawk, parents will receive a complete Parent Package & Checklist with all the necessary details. We will provide one-on-one consultation with Red Hawk admission staff. This is an allowance for your child’s personal needs, and not a fee for program services. Personal allowance items may include hygiene supplies, medications not covered under insurance, sick visits to the doctor not covered by insurance or other necessary personal items. This monthly balance is recorded in the resident’s personal account and will roll over month to month. Any money left over in the student’s account will be returned to the resident’s parent or guardian upon discharge. Red Hawk maintains a thorough admissions process to make certain that the program maintains a proper balance and fit for all of the youth in the program. LOVE & AFFECTION is the process of building and maintaining relationship and communication between the resident and their parents/siblings for the goal of supporting family reunification. Parent’s plead to the heavens, For some guiding light, To give them strength, And help them sleep at night. Those prayers are answered, So that parents will know, That they are the guidance, To where their children go. Parents guide with rules, With love and with hope, With strength and with courage, Which helps kids to cope. Parents say to kids daily, Just how much they are loved, Even when kids are errant, And they’ve push and shoved. Parents, don’t sit in silence, Stand straight and proud, Tell your children you love them, Right in front of their crowd. For no matter their faults, Or the wrongs kids may do, Your love and affection, Will bring them home to you. 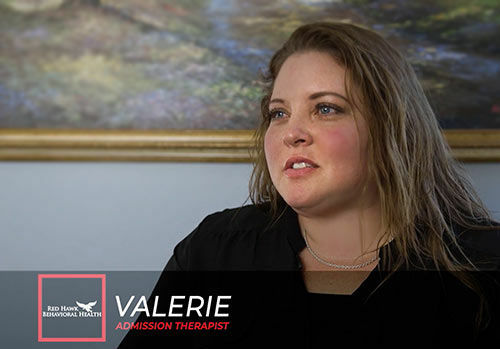 Parents & Referral sources seeking admission for a resident may contact Valerie in admissions @ (435) 236-5423 or toll free @ (928) 347-5930. First contact us by phone or using the inquiry form, and we will discuss the costs, insurance options and more. If Red Hawk appears to be a good fit for your family, we will send you an admission packet, which you can complete and send back to us. The Admissions Team will review the packet for appropriateness and will complete the Admission Application Screening form and the Violence Risk Factor form. This application is utilized to assist in determining if the resident meets criteria for admission. The Treatment Team will determine if your daughter is a good fit for our program. The admissions staff will contact you or the referral source to discuss a possible admission date. Once an admission date has been determined the admissions staff will email or fax a packet of Admission Consent forms. Communication of necessary consent will be presented to the parent/guardian in a language (including ASL) that they understand. The Program will provide translators/interpreters as needed. The admissions staff will maintain contact with the parent or referral source to insure the resident’s arrival date. The admissions staff will notify the Program Treatment Team of the resident’s admit date and time. The Red Hawk transport team will schedule to meet the resident either on campus or at the airport for transport to the Red Hawk Campus. Should you need help finding rehabs for teenagers, boarding high schools, programs for troubled youth or alternative boarding schools, please let us know. Red Hawk specializes in counseling for troubled teens and out of control teens and especially work with Oppositional defiance(ODD), Depression/Anxiety, RAD girls and adopted girls with emotional disorders. If you are searching for residential treatment centers for difficult girls, troubled youth homes, troubled teen therapy or therapeutic boarding schools, you have found one. As a top therapeutic boarding school, Red Hawk Behavioral Health may also be considered a “school for troubled teens”. Red Hawk Behavioral Health’s all-girl school provides troubled pre-teen and teenage girls with counseling and adolescent therapy. The therapeutic residential school and home for troubled girls serves at-risk teen girls from homes in Arizona, Utah, Nevada, New Mexico, and California, in the Southwest, and Oregon, Idaho, Washington State and Montana in the Pacific Northwest and Northern States.